Gorgeous Contemporary Well Maintained Home With All The Extras For The Active Family In Great School District: Formal Din Rm, 1st Floor Fam.Rm W/Lovely Stone Fireplace & Master Suite. All New: Roof, Furnance, Air, Carpet, Ceramic Tile, Corian Countertops In Kit. W/Breakfast Bar, Stainless Steel Appliances, Flat Screen Tv & French Doors To 3 Tier Wood Deck & Lovely 20x40 Heated In-ground Swmming Pool W/Bath House, 1/2 Bath, Cabana & All Equipment Incld, Full Finished Basement Great For Entertaining W/Game Room, 1/2 Bath & Professional Weightlifting Equip. 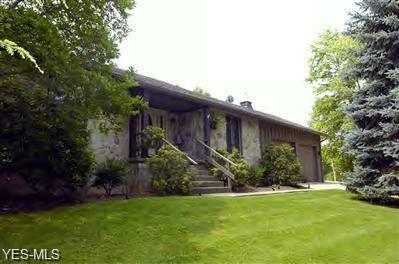 (Included), Located On Nicely Landscaped 1+ Acre Lot On Quiet Cul- De- Sac In Ashwood Acres.